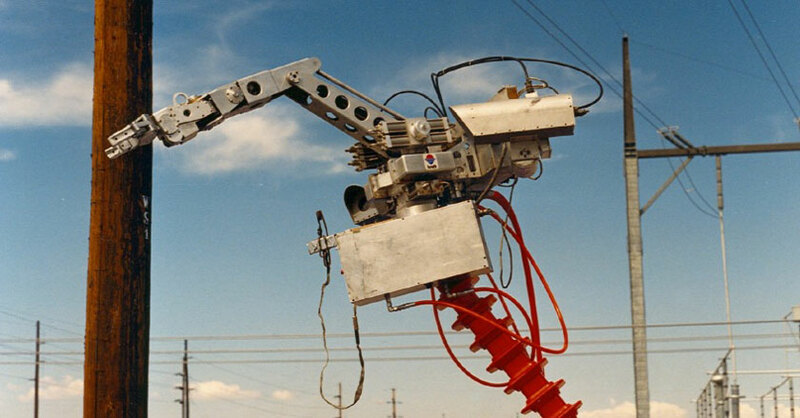 As a pioneer in the development of manipulator technology for use in the electric utility industry, Kraft manipulator systems were the first to be used to perform installation, repair, and maintenance tasks on both energized high voltage transmission lines, and power distribution lines. 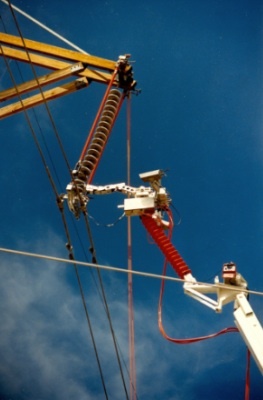 Working in cooperation with the Electric Power Research Institute (EPRI), Southwest Research Institute, AB Chance, and Philadelphia Electric, Kraft TeleRobotics played a major role in the development of "TOMCAT", a transmission line system capable of live line work in a high voltage field exceeding one million volts. Live line work on overhead transmission systems is physically demanding and potentially lethal. Work must stop if lightning is present or imminent. Rain or other precipitation creates prohibitive electrical hazards while high wind, bitter cold, or broiling sun can prevent linemen from performing critical tasks. The result can be power outages with replacement energy cost exceeding thousands of dollars a minute. 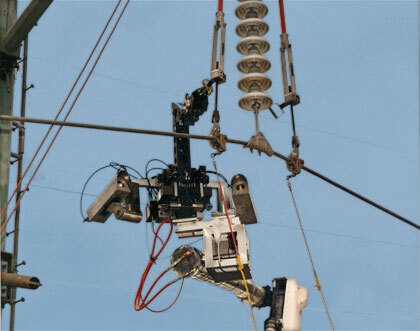 With the lineman operator located in the safety and comfort of an enclosed control van, the Kraft system facilitates live line work under a variety of conditions which make it difficult, unsafe or impossible for crews to work.